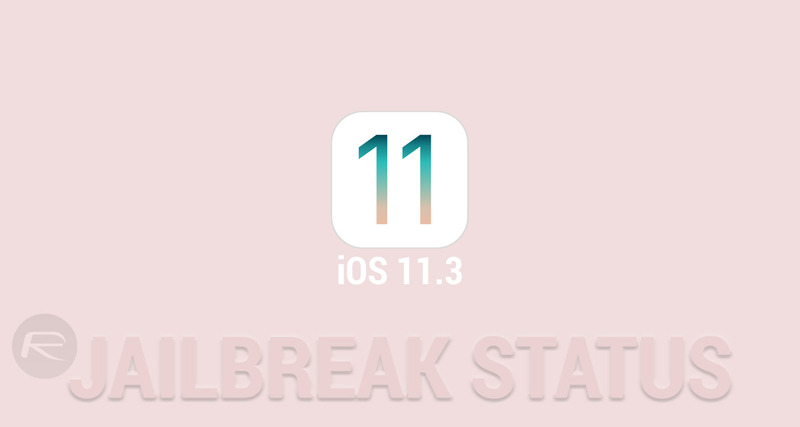 It seems that there has been a progression as far as an iOS jailbreak is concerned with modern firmware versions. Twitter user @S0rryMybad has taken to the micro-blogging network to post a series of screenshots which appears to confirm that Apple’s iOS 11.3 has been jailbroken and confirms participation in Microsoft’s Bug Bounty award program. The user in question describes himself as partaking in “browsers security & iOS/MacOS kernel security” in his online bio, which would suggest that he would have an interest in liberating Apple’s iOS platform. The tweet in question comes equipped with the “jailbreak on the latest iOS 11.3” text, and confirms that an added benefit of that has been that he has reaped the rewards of the “Edge Bounty Program”. The tweet also contains two screenshots, one of which shows Terminal running on a MacBook with a heap of code running, and the other an email directly from Microsoft which seems to confirm multiple financial rewards from the “Microsoft Bug Bounty” program. 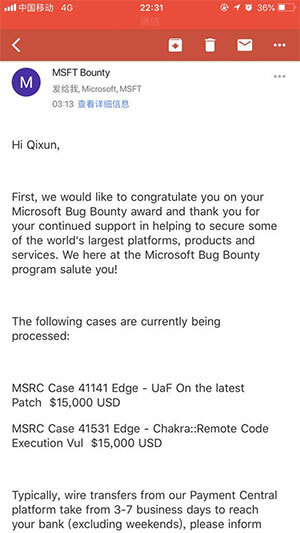 According to the information contained in the email, Qixun has been awarded a total of $30,000 for finding and reporting an “Edge – UaF On the latest patch” and “Edge – Chakra::Remote Code Execution Vul.“ It seems that the tweet in question has drawn a lot of attention from iOS device owners who are questioning the legitimacy of the information being displayed. However, you only need to take a look at some of the well-known and prominent individuals who follow this particular account to get an immediate understanding that this individual is likely well thought off in security circles and that anything posted is likely the real deal. Of course, the immediate question from all of the inpatient community is now “when will this be released?” or “should I downgrade to iOS 11.3 while Apple is stilling signing the firmware?” All of these questions currently have no known answers. We know very little about what we are seeing here other than that this particular individual looks to have achieved root on iOS 11.3. Only time will tell if this can be used to actually put together a public-facing jailbreak for devices running iOS 11.3. 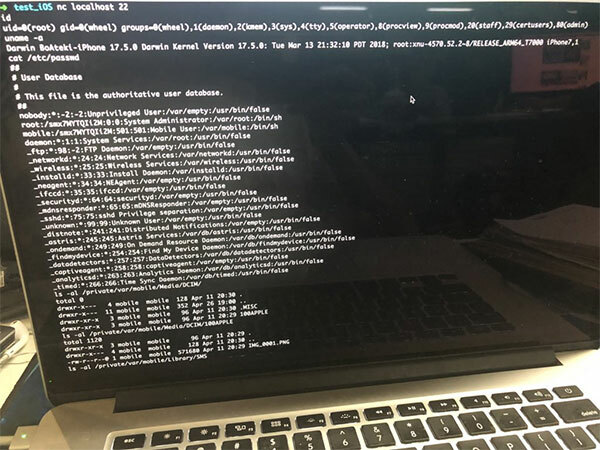 To be on the safe side though, we recommend downgrading from iOS 11.3.1 to iOS 11.3 while Apple is still signing the older firmware just in case this ever turns into a public jailbreak. We find ourselves well and truly back in the cat and mouse game, once again. Why would Microsoft offer a bounty on iOS jailbreak bugs?? Security flaw in Edge browser I would assume from the bounty reporting stuff. Apples bounty program has severely hurt jailbreaking community. Bet apple is excited seeing that lack of jailbreaking apps. Days of sharing a new jailbreak and seeing all the iPhone users excitement are gone.